Politicians and political journalists become obsessed with tiny fluctuations in week to week or even daily opinion polls prior to and during an election. Some of them will misinterpret the poll results, often by mistake but sometimes with an intent to mislead. The buzz around each pre-election poll is often empty and irrational. A standard opinion poll contains the primary vote, the satisfaction and dissatisfaction ratings, the preferred prime minister rating, and the two-party preferred vote (and there’s an endless debate about whether that should be based on a specific question or preference flows at past elections). On top of that, there are issues questions and special polls in selected marginal seats. It’s a psychotropic smorgasbord. The results of each individual poll hardly ever run in one direction. Even when they do, they don’t do it for long. So if you don’t like one part of a poll – the two-party preferred tally, say – you just focus on another bit, such as the primary vote or the preferred prime minister rating. All pollsters when put on the spot will fall back on the old rule that a poll only measures public opinion, it does not predict it. Polls tell you what public opinion was, not what public opinion will be. There are several problems with using opinion polls such as small sample sizes or selective sample choice (eg: people with landline phone numbers but not those with only mobile phones) to extrapolate national trends and whether a party leader is doing well or badly. Another example is push polling where the survey questions are carefully designed to prompt a specific answer. 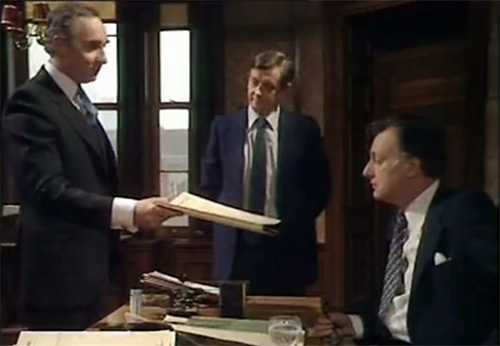 Watch the video below or read the transcript to see an excellent example of this from the cult classic satirical BBC TV series Yes Prime Minister. I agree.. very easily manipulated.. whoever is handling the polls can alter the outcome at any time.